When was the last time you flirted with your husband? Was it before you had kids? Do you spend more time on the couch with your wife watching movies or with a bag of chips watching The Game? Does your idea of a hot date include a drive-thru and springing for the extra-large fries? What would your marriage look like if for 21 days you turned your attention to happy habits that will better your relationship? Plenty of books describe how to improve a marriage, how to save a marriage, even how to ramp up intimacy in a marriage. 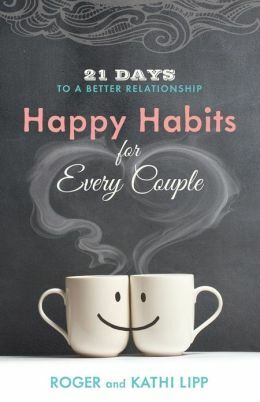 In Happy Habits for Every Couple, Kathi Lipp and husband Roger show you practical, fun-filled ways to put love and laughter back into your marriage.